I was recently informed by the staff at ChristiansTT.com that I had written over 200 articles for their online publication. It has been my absolute joy to share my understanding with fellow believers. But, not everyone has been so appreciative of what I’ve put forward. So from time to time, I would share the bad arguments, destructive mindsets or hate messages I’ve received so that others may get an idea of what I’m dealing with. In previous articles I may have addressed some bad arguments, or religious mindsets. Here, I want to express some ideas that Christians think are true, but are in actuality very destructive and counterproductive for the purposes of reaching people outside the Christian world. 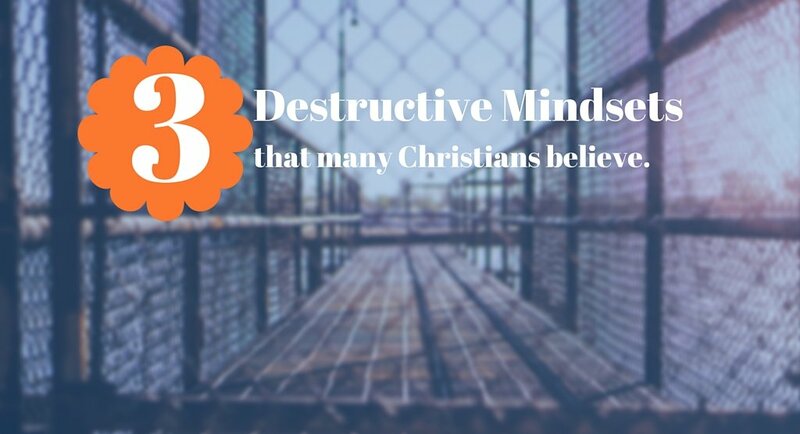 While many of these ideas are not taught publicly, or even acknowledged, they are very present in the minds of some believers, and I hope to make Christians aware of what harm these mindsets bring. One of the worst stereotypes by Christians is this idea that only Christians can experience “true” love. It suggests that outside of a relationship with Jesus Christ, a person lacks the fullness to truly experience and express love to another human being. Unbelievers are thought to have a sense of love. But they are not actually capable of “true” love, because they have never experienced God’s love. While many will never admit to this mindset, it is perpetuated in Christian literature, music and especially in movies, with little objection from the Christian community at large. In a world of hurting and lonely people seeking love, Christians say that it can only be found in Christianity with God, rendering all external sources of love as inferior imitations. Needless to say, this idea is completely false. God is love, and his expression of love is unquestionably the greatest. But in no way does that mean that human beings are incapable of love without knowing God. As Jesus Christ has said himself concerning the capacity of men to love: John 15:13 Greater love hath no man than this, that a man lay down his life for his friends. Jesus Christ said that love can be experienced between men, and the greatest expression of that, is one who is willing to die for his fellow man. Have we not all heard of unbelieving parents going to the death to protect their own children from some atrocities? Have we not heard of husbands losing their lives for their wife and children, to protect them from harm? How many people have sacrificed kidneys and lungs to save a friend in need? By no means do I discount that Christians do these things also. But the point is that unbelievers are fully capable of experiencing and expressing true love to their fellow man, as much so as any Christian. They may not love the same things as Christians, or even experience the love of God like Christians, but the love they have is no less real, and should not be treated as inferior, but as a gift from God to be celebrated. On my blog I posted a teaching that is not commonly heard about: the role that the Oral Traditions of the Jews played in first-century Judaism. The lecture was done by Nehemia Gordon, a Karaite Jewish scholar, who makes it known that he does not believe that Jesus Christ is the messiah. Now the lecture was not about Jesus Christ or his ministry. The lecture was about Judaism. And it would seem logical that if you want to know about Judaism, you would talk to a person who was raised and practices that religion. Lo and behold, some Christians protested! They suggested that we should not listen to him, not because he’s unqualified to speak on the subject, but instead because he doesn’t believe Jesus Christ is the Messiah. It’s as if his lack of faith in Jesus Christ disqualifies him to speak on any other subject with any credibility. This illustrates the unspoken mindset: that only a Christian believer in Jesus has any authority to speak on any subject with any kind of truth and honesty, even if the subject is completely outside the realms of Christianity. Are Christians the only legit experts? This mindset suggests, that Christians are the only legitimate experts on Judaism, Islam, Quantum Physics or any other area of life, even though the person may have no formal education in that area. If the speaker is a Christian, whatever they say, must be true. Needless to say, this is patently false. The Bible and Christianity was never entrusted as the sole bastions of truth upon planet earth, no matter how badly Christians wants to believe that. The Bible was never intended to be a world history book, or a book of quantum mechanics. A large part of the Bible is the covenant history of the Jewish people in the ancient world, and not a reliable source of history for the Chinese dynasties, as an example. Furthermore, Christians have been known to make patently false statements in the past. The fact remains that the poetic language used in Scripture, to describe the sun rising and falling, is not scientific evidence to suggest that the sun revolves around the earth. This unspoken mindset, that only Christians can speak the truth on anything, discourages learning, critical thinking and promotes an unhealthy attitude towards reason, science and philosophy. In everyday life, we listen to doctors and dentists about matters concerning our health, many of whom are non-believers. And we can recognize truth in what they say. If we had an operation that needed to be performed, we would no more discount the advice of the professional medical people, no matter what their faith, and say it’s not truth simply because they do not believe in Jesus Christ. I’m not saying they have all the answers. I’m saying they will offer us the truth about our conditions and their best understanding of the truth of how to treat the ailment. Which of us would automatically say they are lying, and instead trust our operation to someone who has no medical training but instead is fluent in the Bible? 3. If you don’t believe like me, you’re the Devil. One of the most common mindsets that’s been made more evident by the Google information age Christianity, is the louder voice of the “Salvation by Doctrine” believers. In the First Century Church, this type of thinking was called Gnosticism, or salvation by knowledge. This unspoken belief basically surmises that unless a Christian believes exactly the same things as I do, they are not a “true” Christian, and therefore they are heretic and working for Satan. Most of us came to faith with little or no knowledge of Christianity or Jesus Christ. For many of us, when we had our salvation experience, we knew nothing of doctrine or creeds. If this was true, it would be better to get rid of all the Bibles and writings of church history, and let people remain in ignorance to assure their salvation isn’t lost by wrong teachings. This is made evident by how they treat those who have a different interpretation to themselves. Usually they respond by name calling and labeling people, in a hope to marginalize them from other believers. For instance, if someone has been labeled a Universalist, they are automatically disqualified from talking about any other area of Christianity, because of this one area of teaching that many believers disagree with. Or, if someone doesn’t believe in the Rapture, many people will accuse that person of being in league with the Anti-Christ, and not fit to speak on any other area of Christianity. Instead of having meaningful discussions, people are removed over issues of doctrine, enforced by this false mindset. We are not going to need Doctrine in the afterlife. But more importantly, it is never connected to a person’s salvation. The first martyr of the early Church, was the apostle Stephen. Stephen’s entire understanding of Jesus Christ was in the context of Judaism alone. He probably never considered that Gentiles would partake in the promises of Jesus Christ. He never read the New Testament or had dialogue with the apostle Paul. At the time of Stephen’s death, his doctrines wouldn’t have agreed with much that the modern-day Christian now holds as essential. Yet, I dare anyone to tell me that Stephen is in hell or was a false teacher. The reason for that is simple, but few would want to admit it. Firstly, no one has all their doctrine figured out. But more importantly, doctrine has absolutely nothing to do with salvation. Doctrine is entirely for the earth and for the purposes of maturing a believer. Discrimination against believers by doctrine is basically Gnosticism and the leaven of the Pharisee that Jesus warned us to avoid. These are not the only issues that Christians are dealing with. But these are common themes that give unbelievers the idea that Christians are judgmental, arrogant and irrelevant to the issues of the world we all share. If we are to be effective at sharing the Good News of Jesus Christ, we cannot be subconsciously condescending towards the very people we are trying to reach, by belittling their love and intelligence, while at the same time attacking our fellow believers who don’t believe like we do. Video: New Testament professor John Dominic Crossan discusses the dangers inherent in Christian fundamentalism.